Square Enix have today announced that Kingdom Hearts 3D: Dream, Drop, Distance is to release across Japan on March 29th, and is to receive its very own hardware bundle. 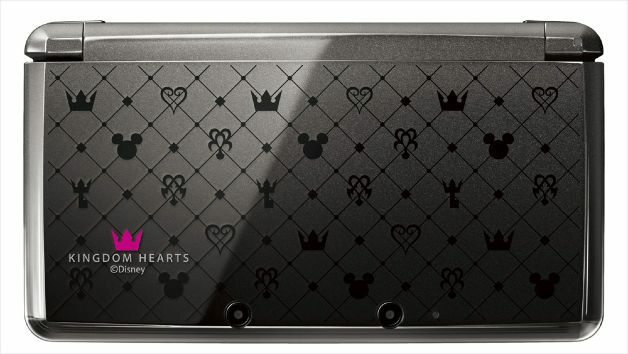 This latest limited edition bundle will include a copy of the game alongside a specially designed Kingdom Hearts 3D themed Nintendo 3DS, which you can see below. The first print run of the game will also see Square Enix include an AR card that may be used in-game to unlock a rare Dream Eater that would be difficult to obtain otherwise. Square Enix also confirmed the release of a Kingdom Hearts 10th Anniversary Box, although didn’t clarify what its contents or pricing would be.